Look into this baby lamb’s eyes. He’s been around for a million years and he never asked for this. 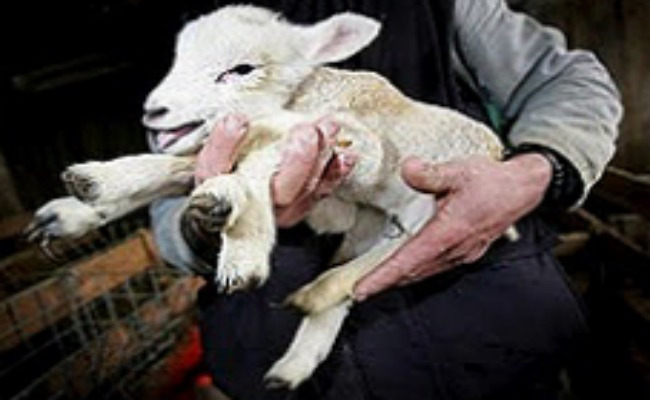 This lamb was born with six legs in a field near NATO’s Capo Frasca Firing Range on the Italian island of Sardinia. Animal deformities are common near the base. Chemicals routinely used at NATO bases cause genetic mutations. 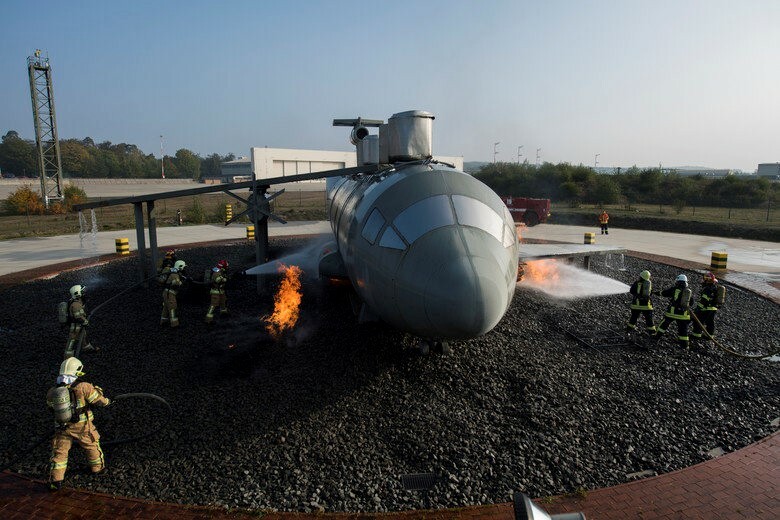 Latvian and Lithuanian air force firefighters extinguish mock fires during a U.S. Air Forces in Europe NATO Firefighter Partnership Course on Ramstein Air Base, Germany, Oct. 10, 2018. The foam spray, which is allowed to leach into groundwater, contains Per and Poly Fluoroalkyl Substances (PFAS). These chemicals are extraordinarily effective in extinguishing super-hot petroleum fires. PFAS is linked to miscarriages and genetic deformities, along with kidney, testicular and liver cancer. 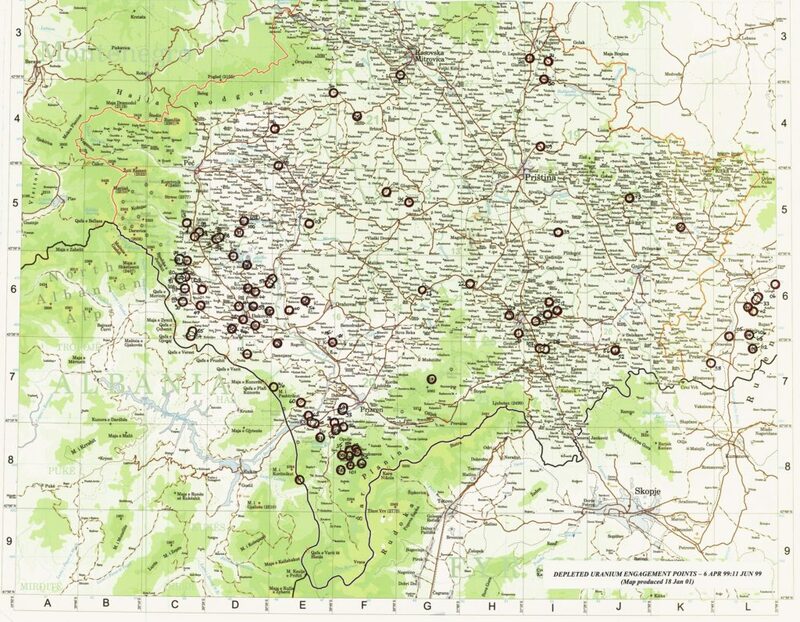 From March 24 to June 6, 1999, an estimated 13-15 tons of Depleted uranium (DU) ammunition was used in areas of former Yugoslavia (Kosovo, Serbia, Montenegro.) The substance is chemically toxic and causes cancer and genetic mutations. Twenty years later, many people in the contaminated regions suffer from cancer or have died. NATO denies any link between the use of uranium ammunition and harm to health, while it takes extraordinary measures to protect its own troops against DU contamination. 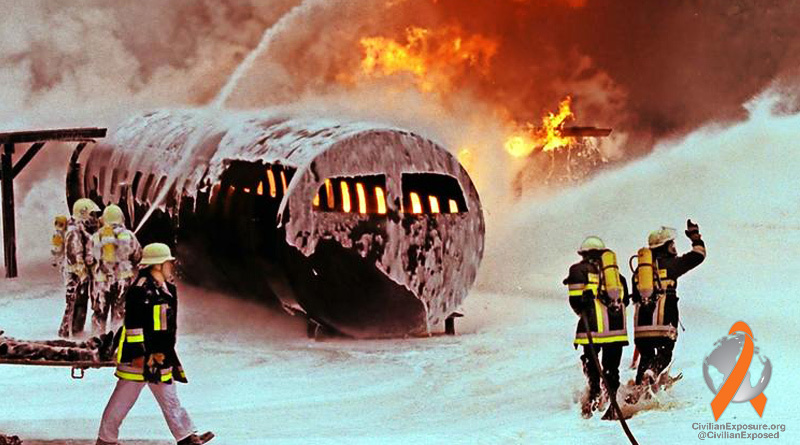 US/NATO troops are shown extinguishing a massive blaze using carcinogenic foam during a routine training exercise at Spangdahlem Airbase in Germany. The cancer-causing foam seeps into the groundwater and sewer systems of adjacent communities. The small municipality of Wittlich-Land, Germany, adjacent to Spangdahlem, filed suit against the German government in February 2019 for the costs of removing and disposing sewage sludge contaminated with Per- and polyfluoroalkyl substances (PFAS). The townsfolk were prohibited from suing the US or NATO. The lethal material, which lasts forever, cannot be spread on fields because it poisons people, crops, and animals. Instead it is incinerated, which is very expensive for the small town – and dreadfully awful for the air and human health. 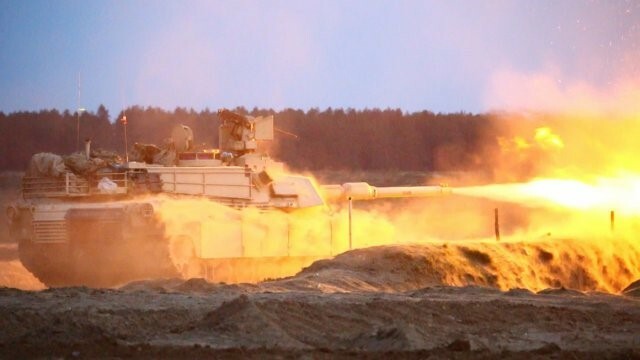 The crew of an M1A2 Abrams Main Battle Tank fires their gun during routine gunnery training on May 8, 2015, at Camp Konotop, Poland. This activity may be associated with releasing the following toxins and carcinogens into the environment: Acetone, Alkaline, Arsenic, Antimony, Beryllium, Bis(2-ethylhexyl) Phthalate, Cadmium, Carbon Tetrachloride, Chromium, Cyanide, Cyclonite, Depleted Uranium, Dichloroethylene, Dichloromethane, Dinitrotoluene, Dioxins, Hexahydro, Iridite, Lead, Mercury, Nickel, Nitrocellulose (NC), 2,4 Nitroglycerin, Nitroguanidine Octahydro-1,3,5,7, Per- and polyfluoroalkyl substances (PFAS) Perchlorate, Perchloroethylene, Phosgene, Phosphorous, Polychlorinated Biphenyls (PCBs), Polyaromatic Hydrocarbons (PAHs), Radioactive Carbon, Radioactive sulfur, Tetrachloride, Tetrachloroethane, Tetrachloroethylene, Toluene, Trans-Dichloroethylene, Trichloroethene, Trichlororethylene, Trinitrobenzene, Trinitrotoluene, Trinitro-1,3,5-triazine, Vinyl Chloride, Xlene, and Zinc. See Bombs in Your Backyard. A bulldozer dumps a load of trash into a burn pit just 300 yards from the runway at U.S./NATO Bagram Airfield, Afghanistan in this 2012 photo. Heavy metals, petroleum products, tires, batteries, medical waste, computers, etc. are tossed into these bits. Burn pits create toxic clouds of lead, cadmium, chromium, and mercury during incineration. Soldiers are not allowed to sue the U.S. or NATO for damages. 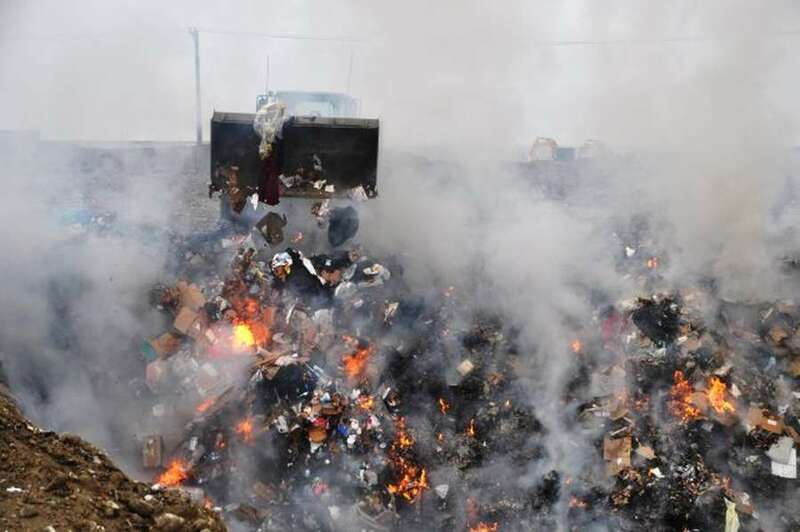 In January 2019 the US Supreme Court ruled that 800 veterans who claim they were sickened by the burn pits may not hold private companies like Kellogg, Brown, and Root (KBR), responsible. “KBR believes the Supreme Court made the correct decision and we are pleased that this legacy case has reached final resolution,” said a KBR official. The burn pits cause asthma, breathing restrictions, cancers, chronic bronchitis, recurring infections, cramps and severe abdominal pain, diarrhea, leukemia, lung cancer, nose bleeds, pulmonary injuries, bronchiolitis, severe heart conditions, severe headache, skin infection, sleep apnea, throat infections, ulcers, unexpected weight loss, vomiting, and weeping lesions on extremities.